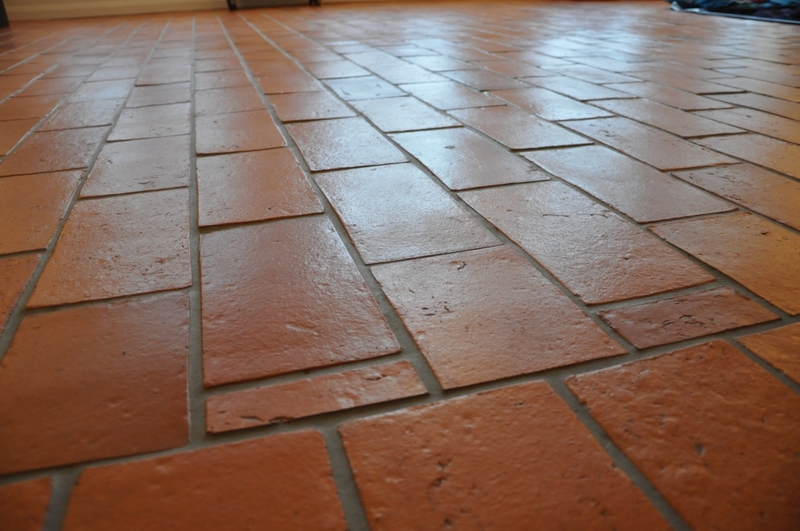 the “hard” clinker mass is used, which is then fired at high temperature. 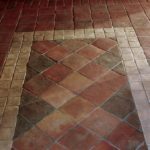 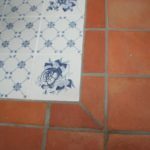 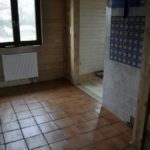 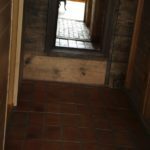 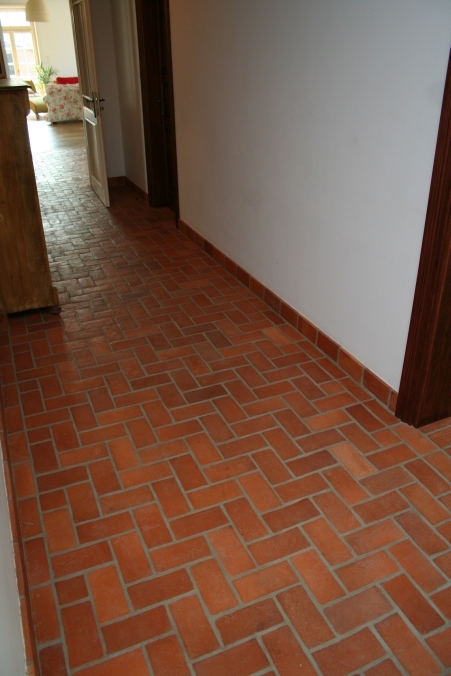 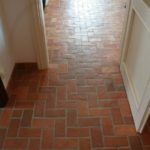 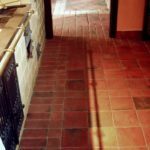 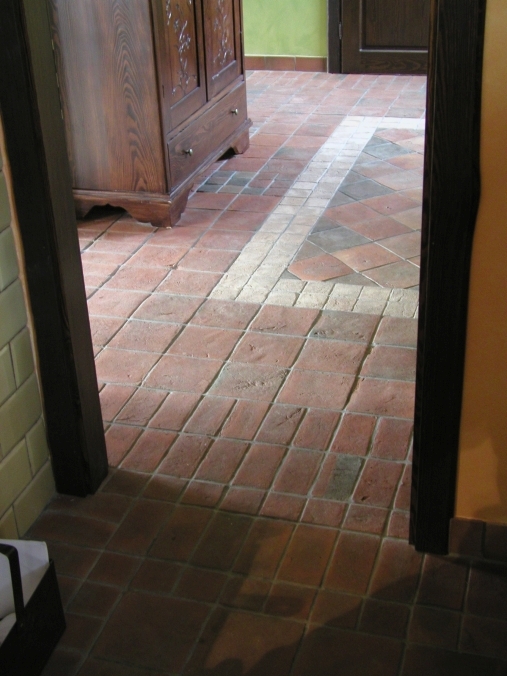 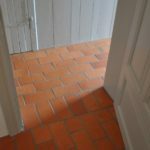 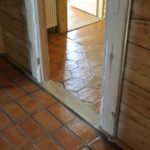 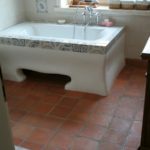 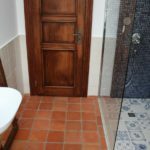 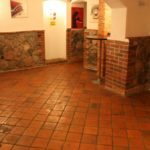 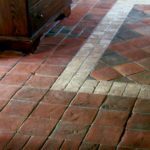 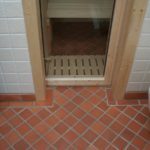 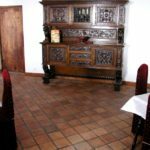 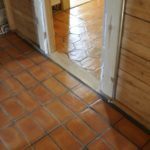 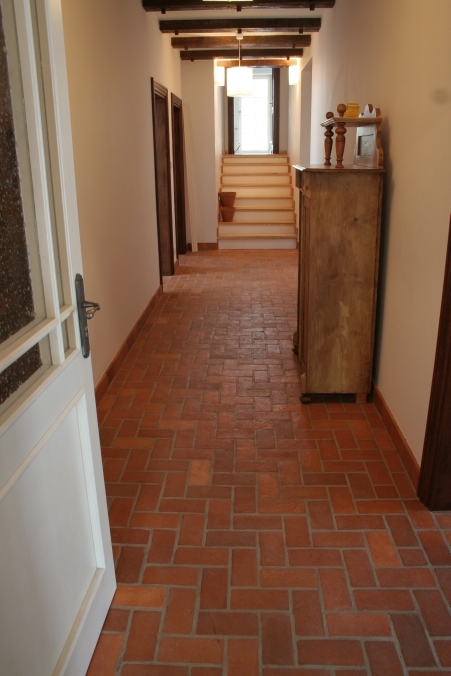 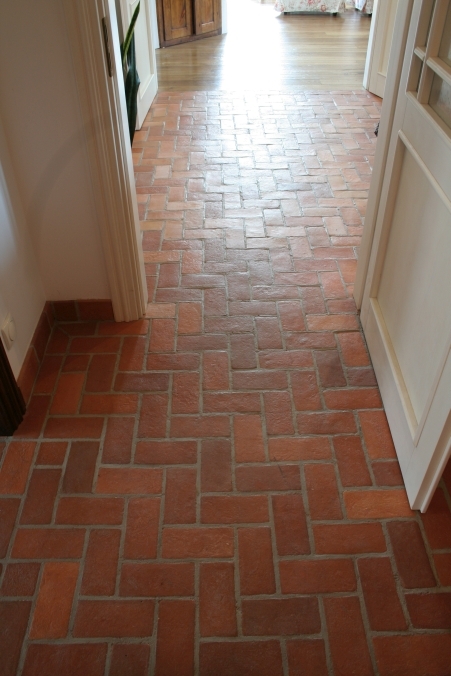 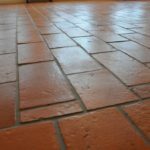 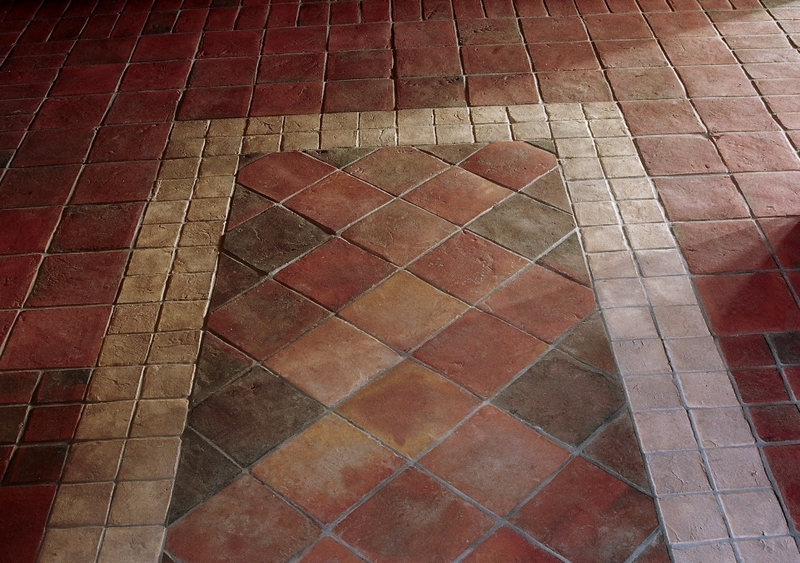 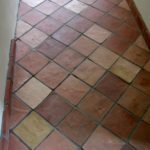 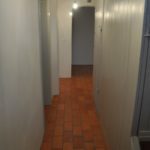 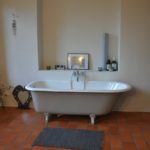 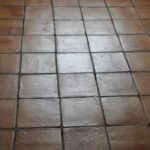 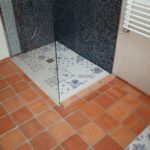 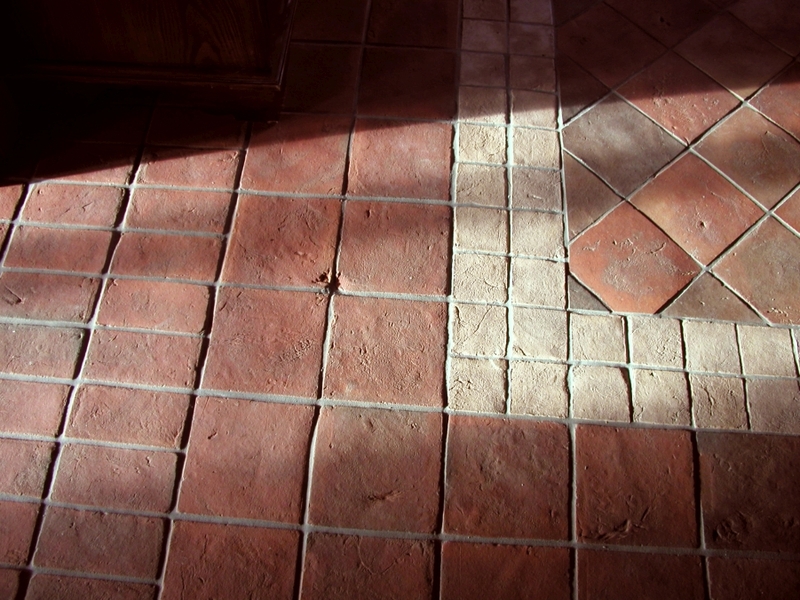 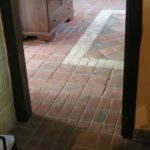 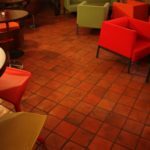 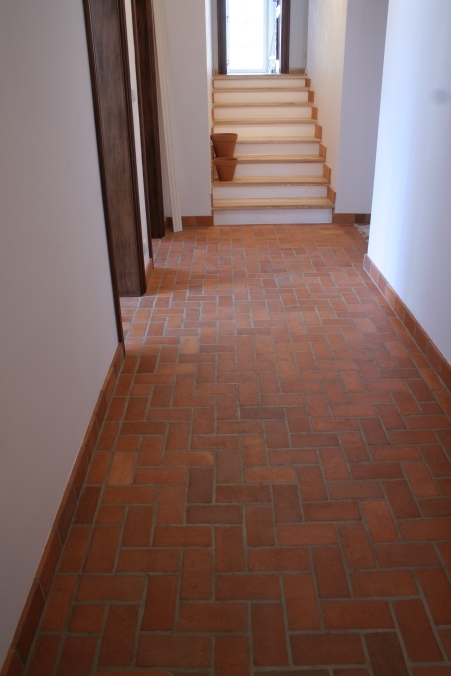 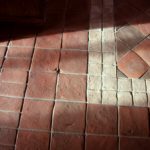 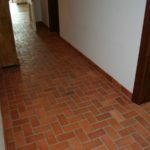 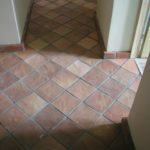 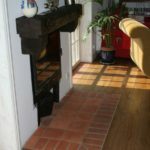 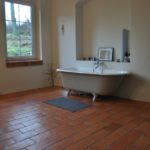 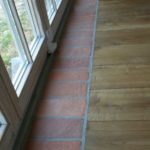 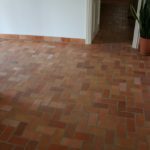 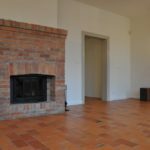 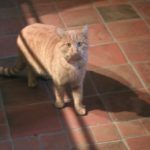 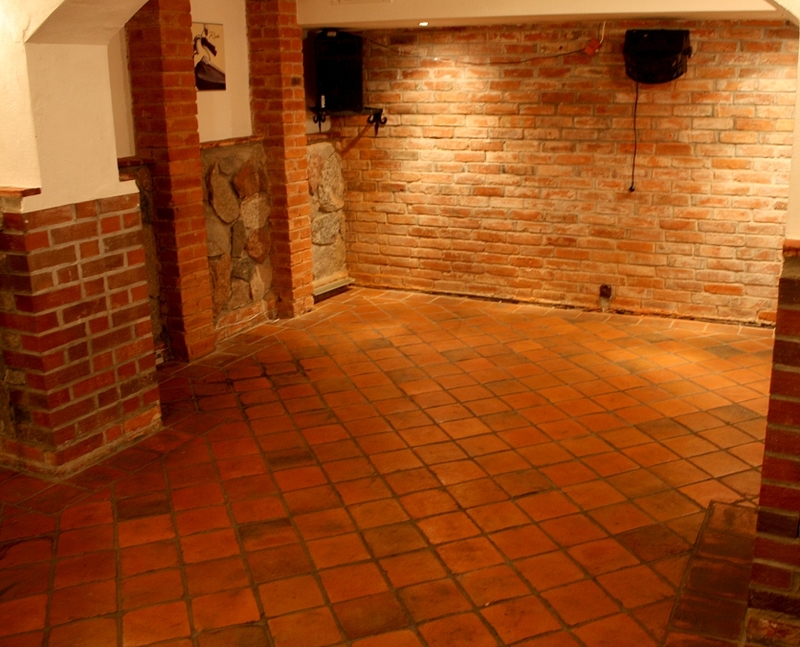 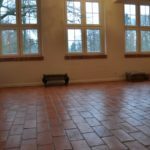 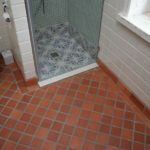 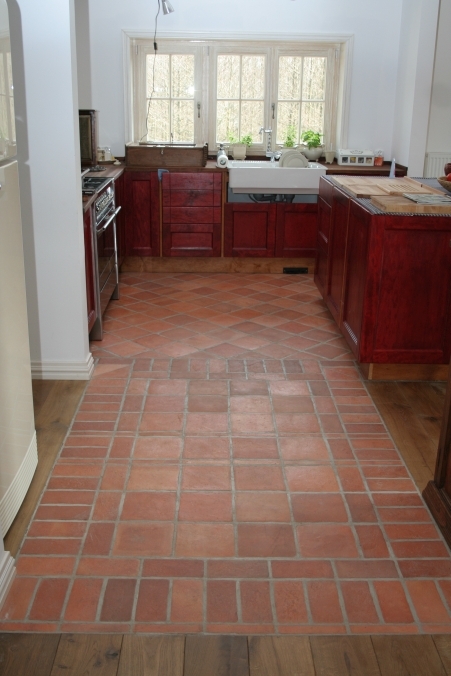 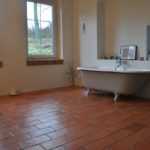 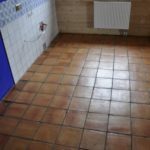 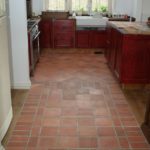 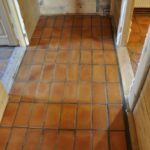 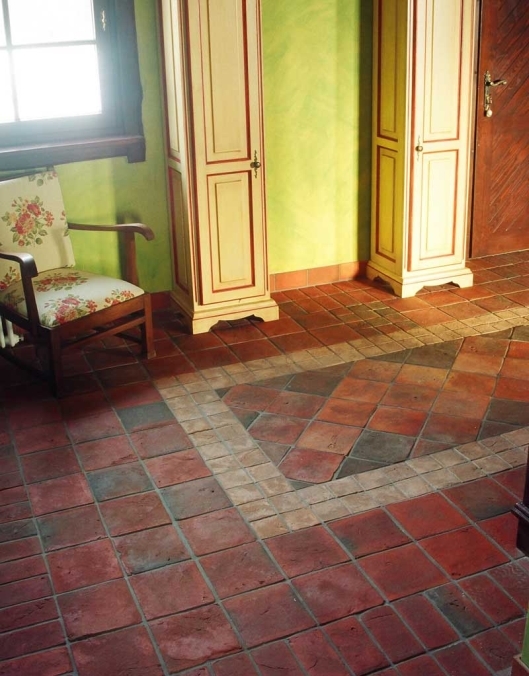 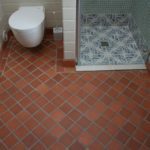 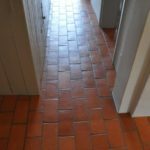 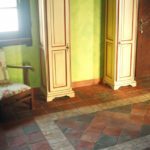 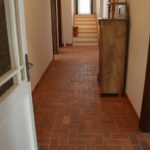 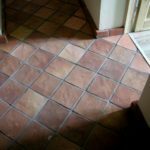 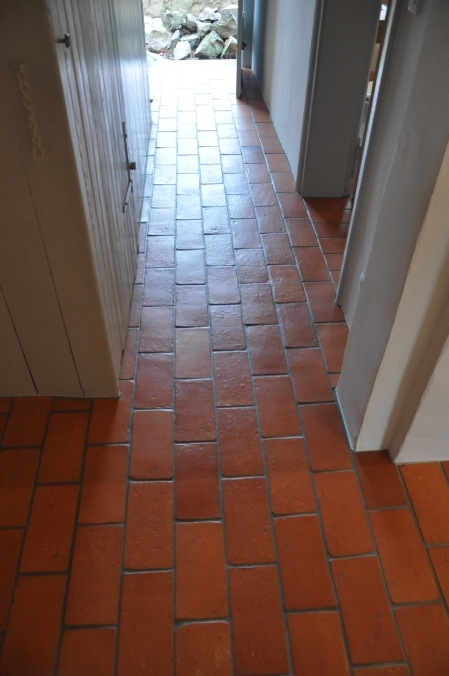 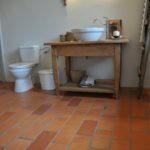 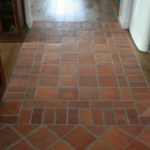 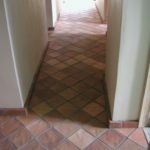 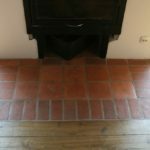 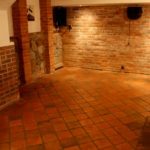 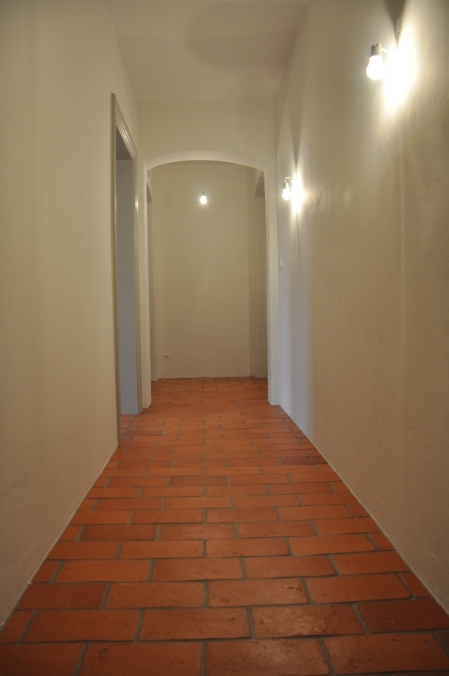 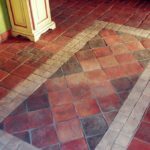 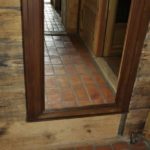 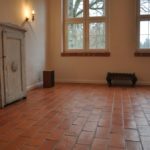 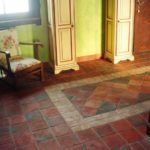 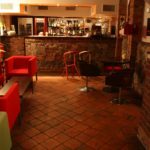 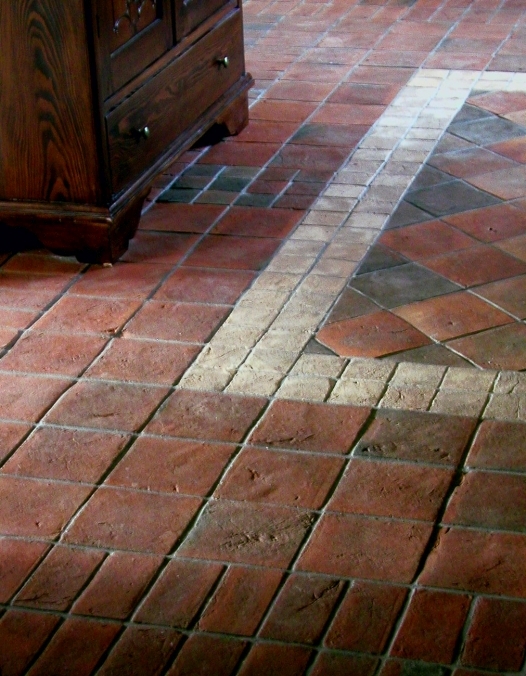 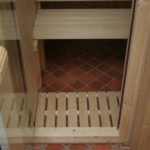 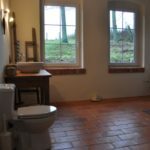 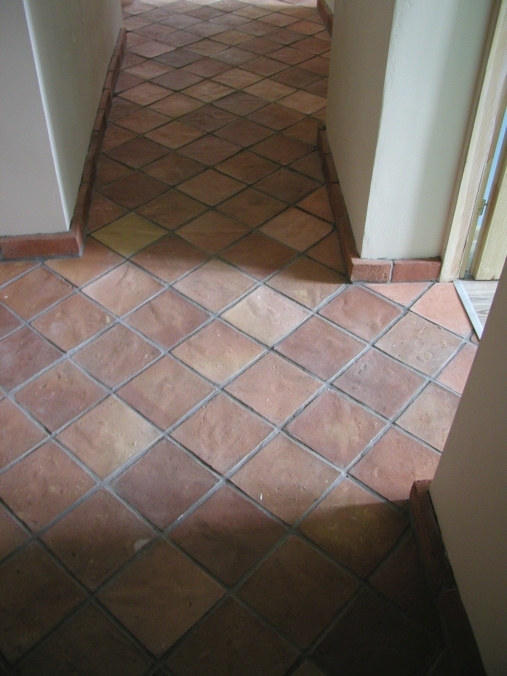 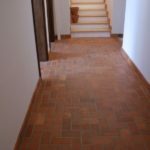 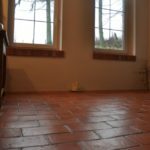 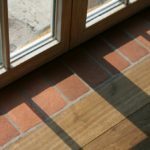 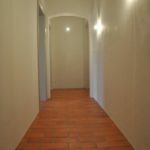 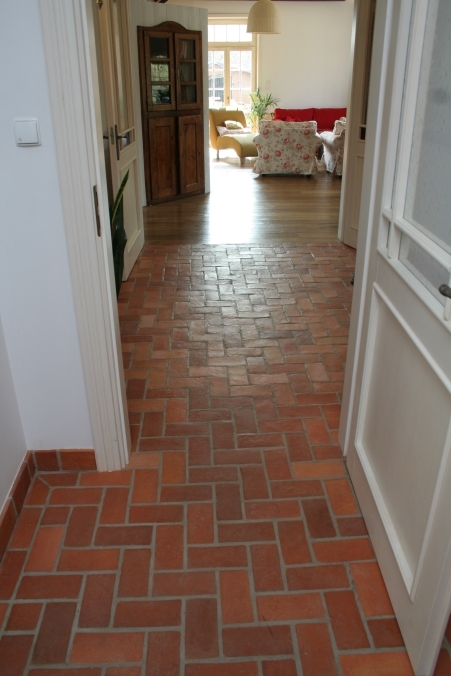 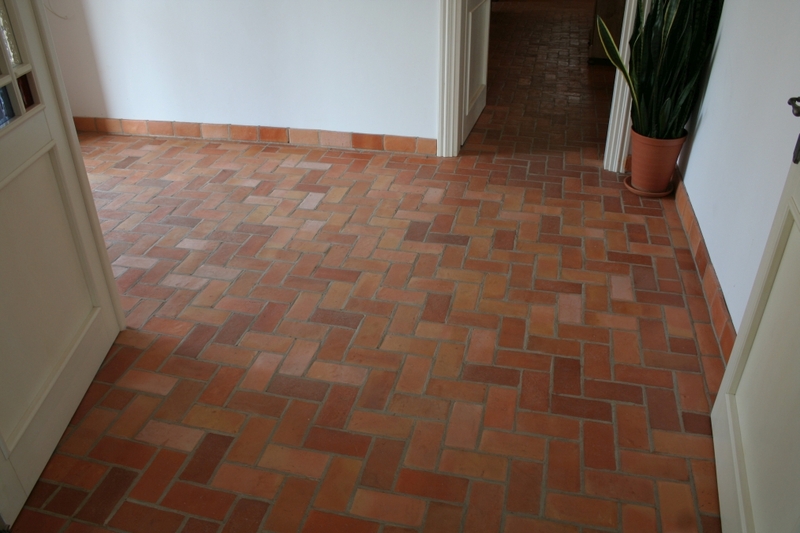 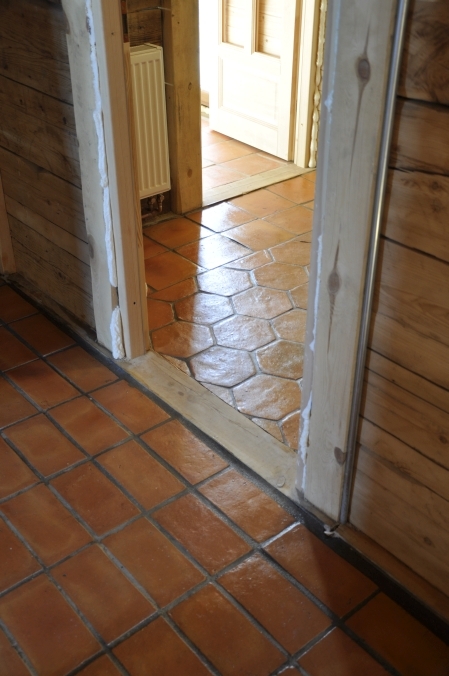 This results in floor tiles that look like the old “gothic bricks” or “Romanesque bricks”, and their quality far outweighs the typical tiles made of old bricks. 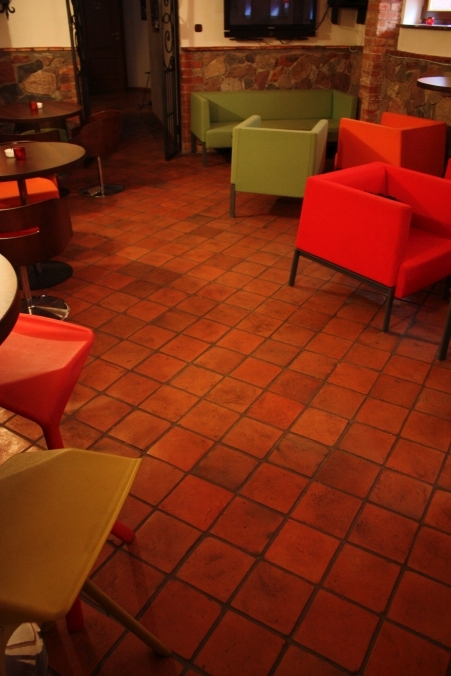 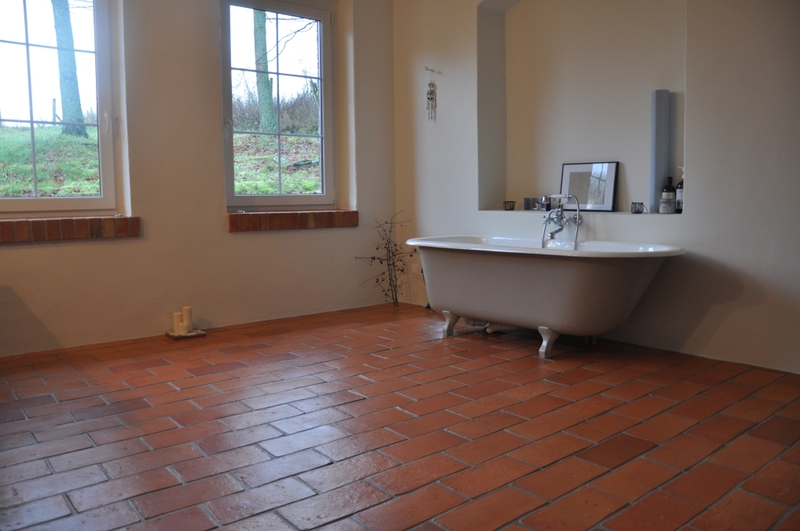 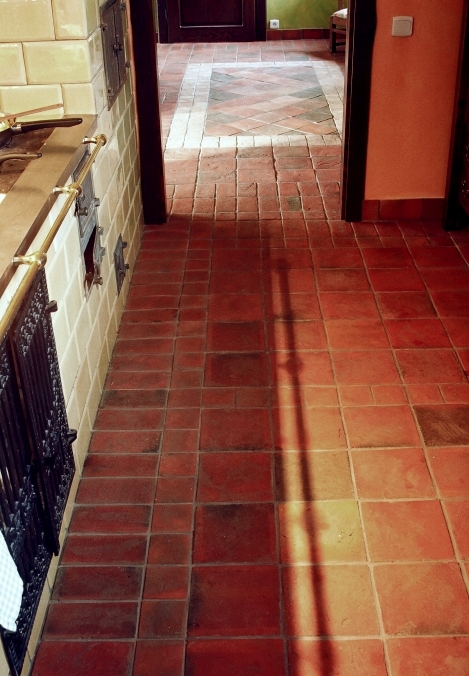 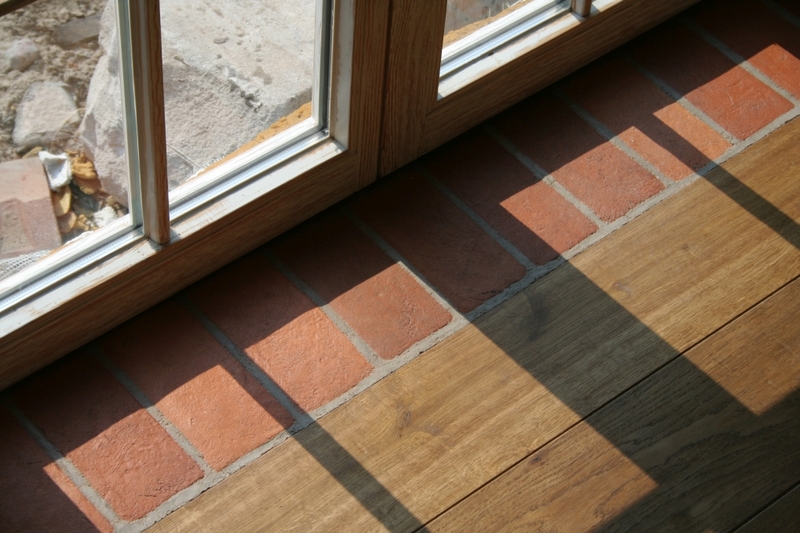 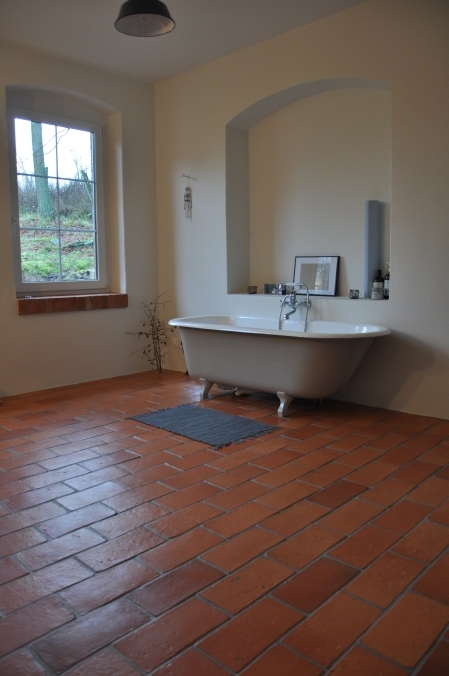 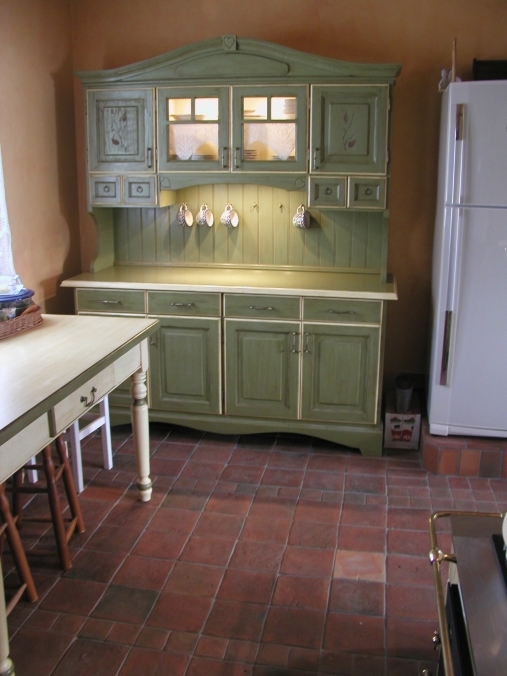 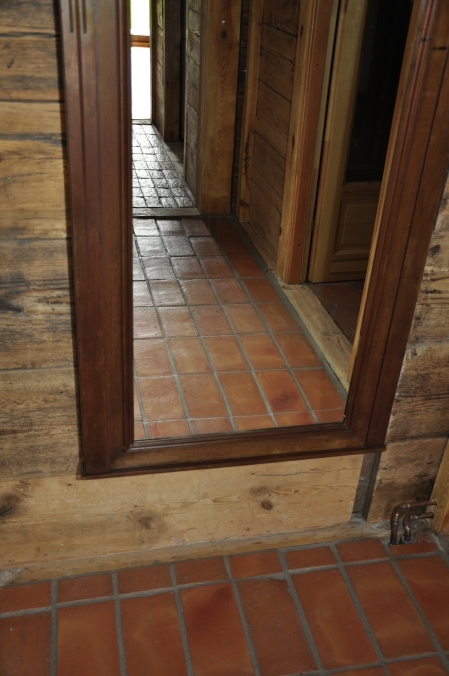 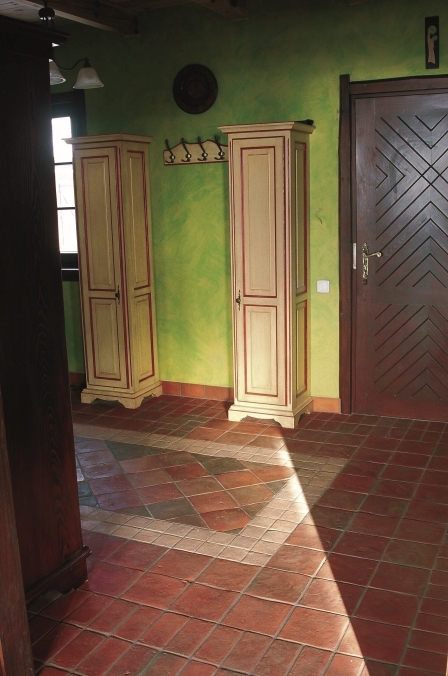 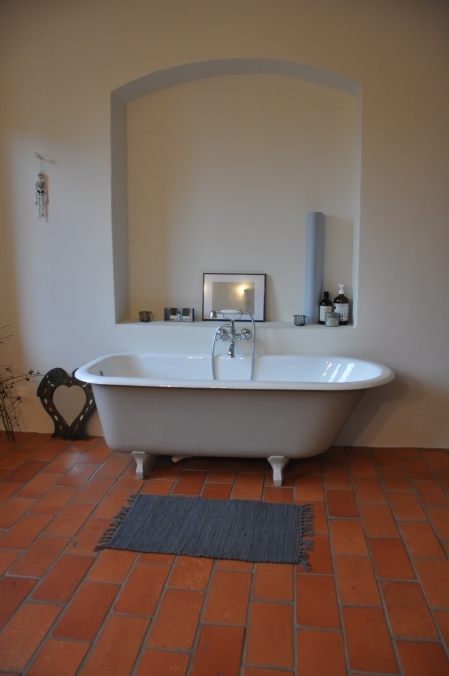 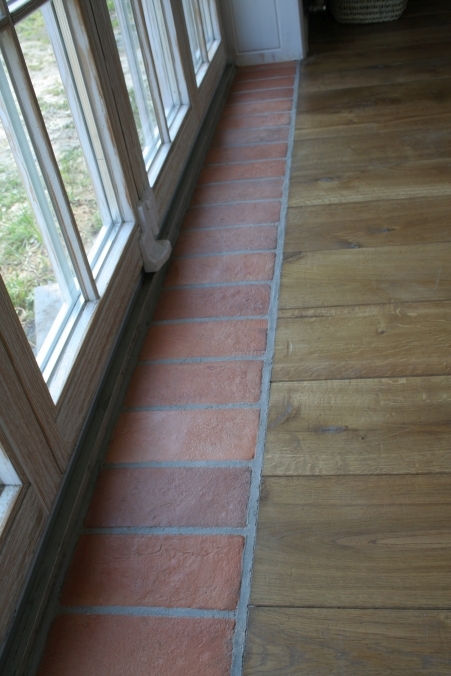 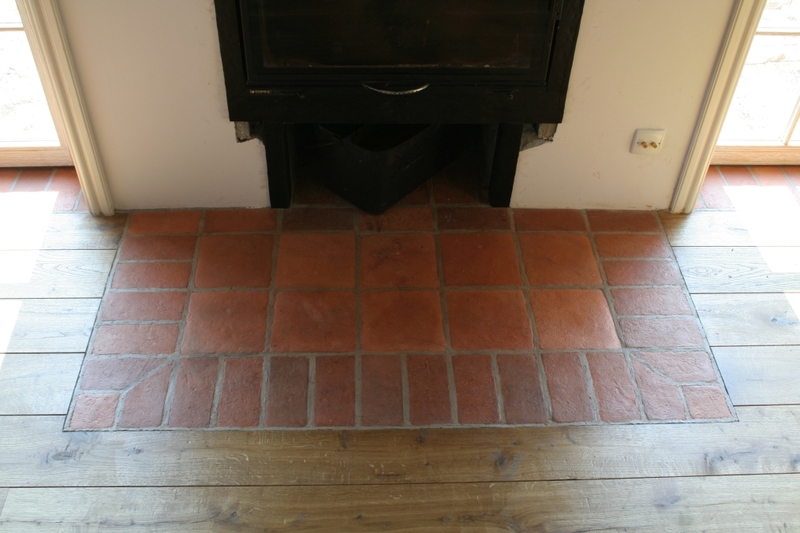 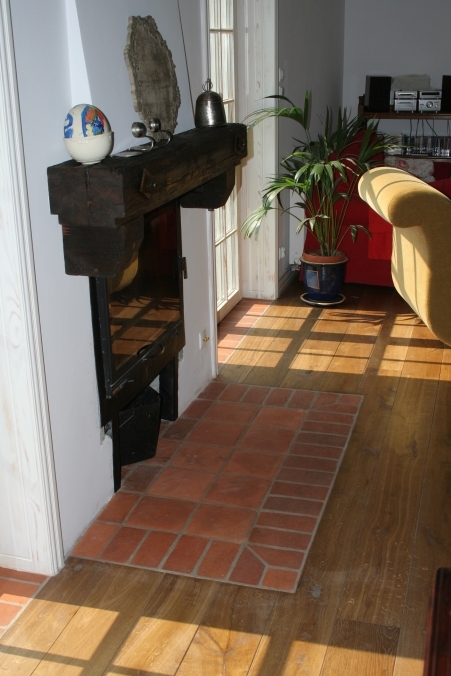 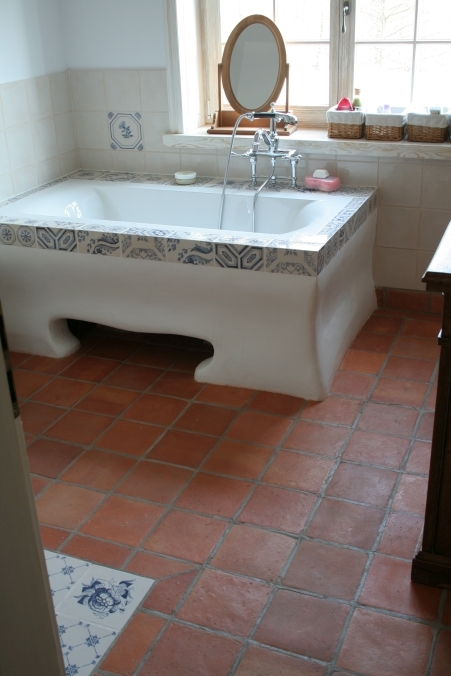 The hand-moulded terracotta has a truly rustic appearance and is of contemporary quality! 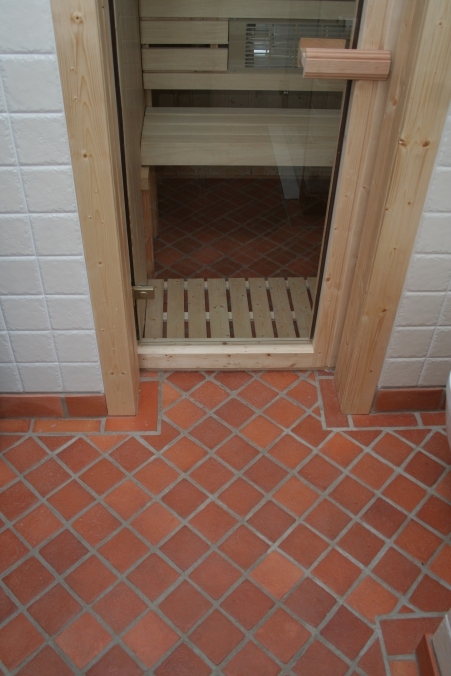 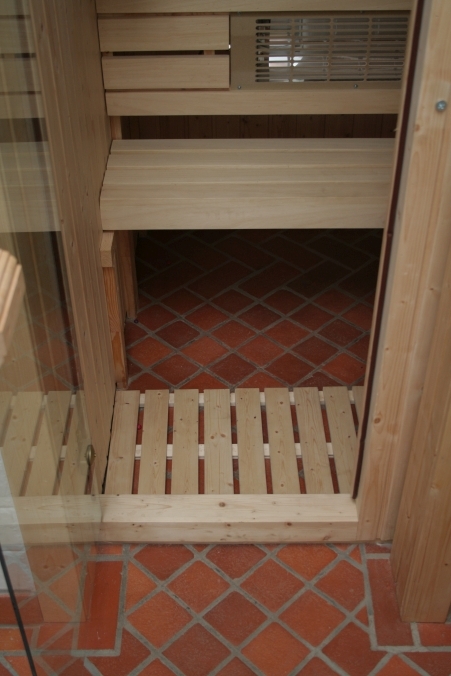 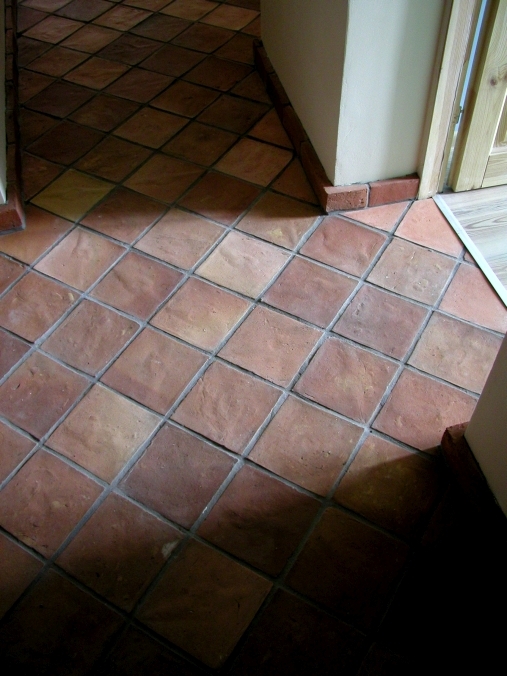 The hand-moulded terracotta is characterized by the full frost resistance (test for 100 cycles) and high hardness. 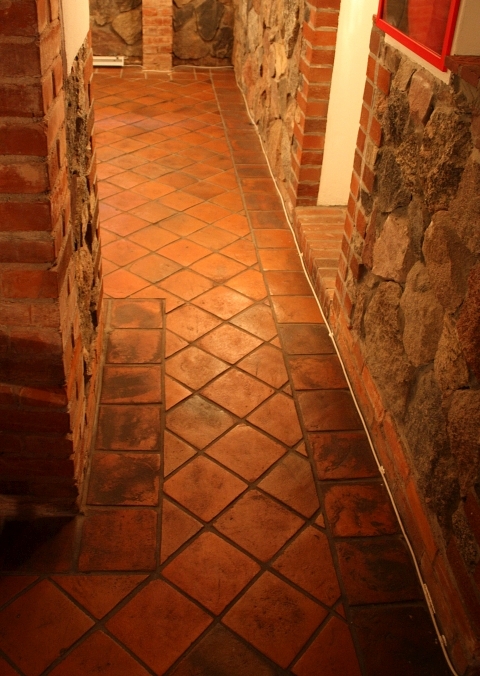 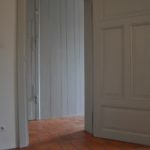 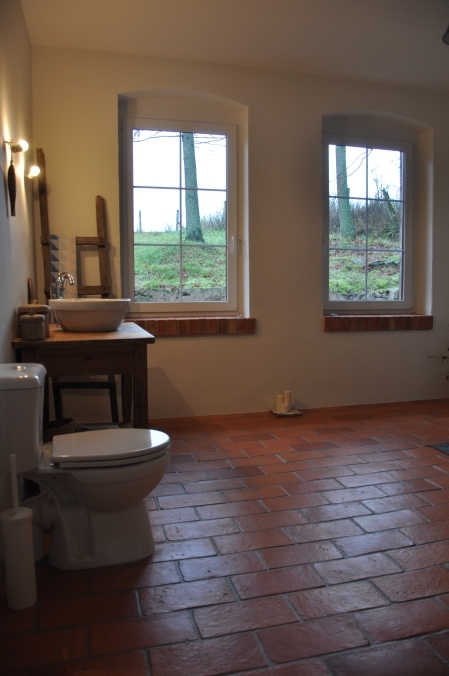 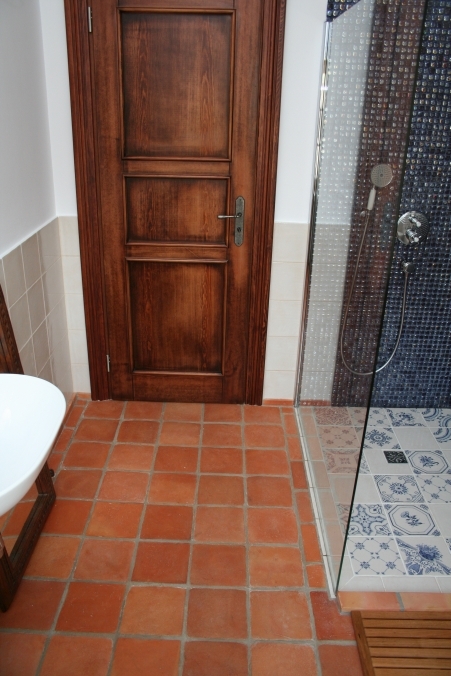 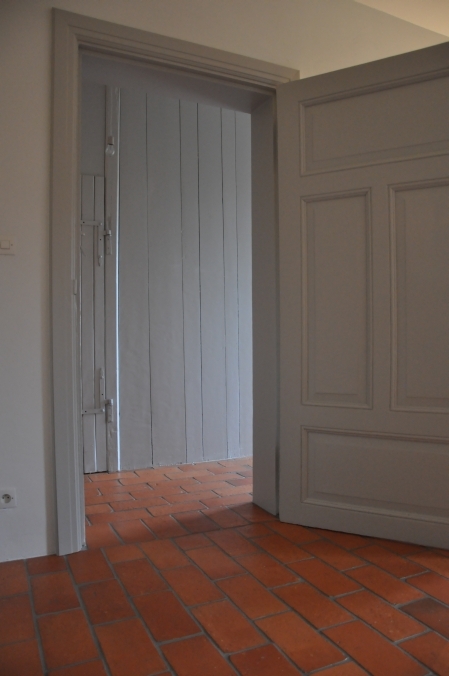 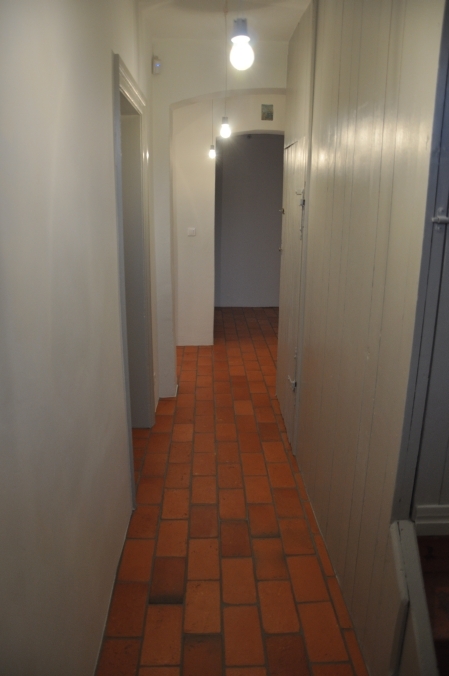 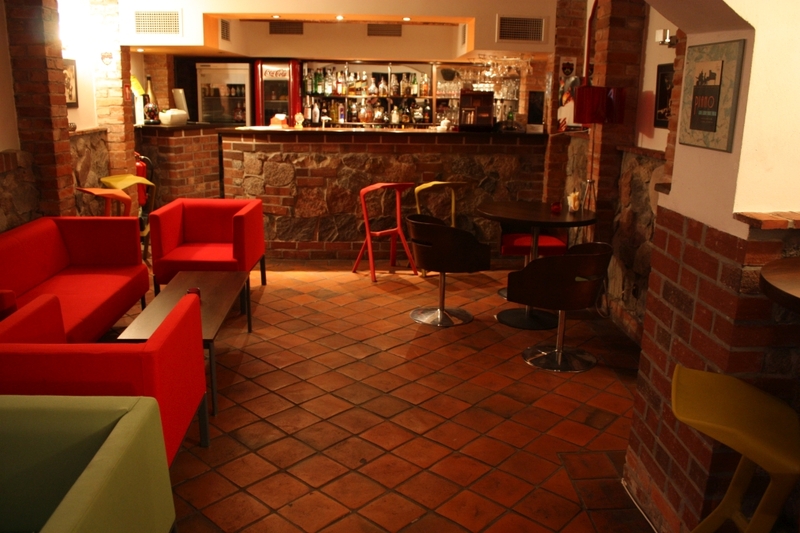 We particularly recommend it for the renovation of the original and old buildings, both for the public and private use. 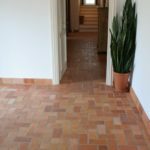 No matter if it is an old castle, a church or the contemporary project in an old building – the hand-moulded terracotta is the perfect choice! 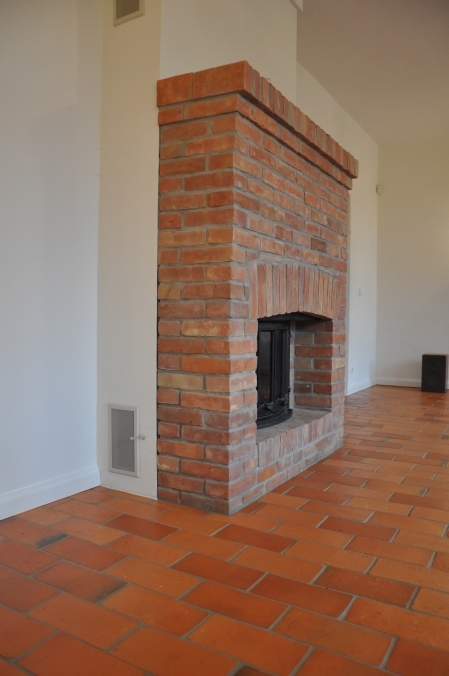 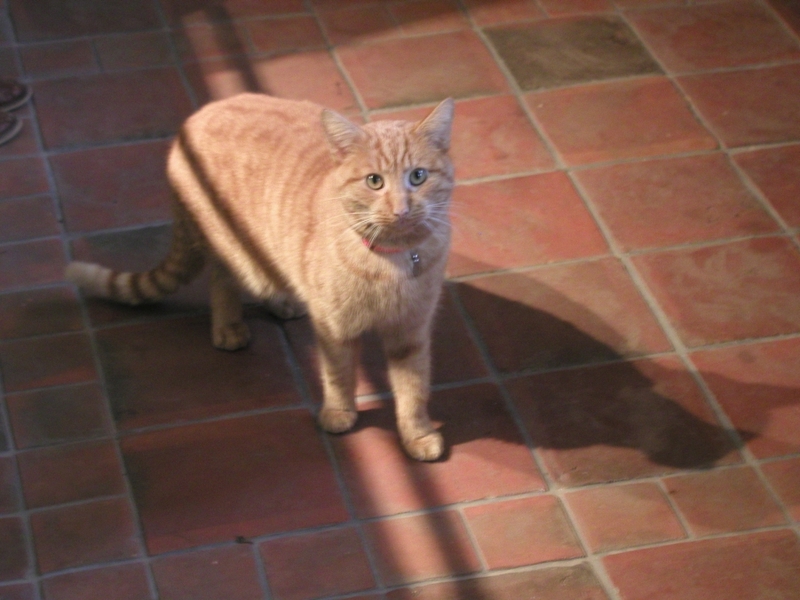 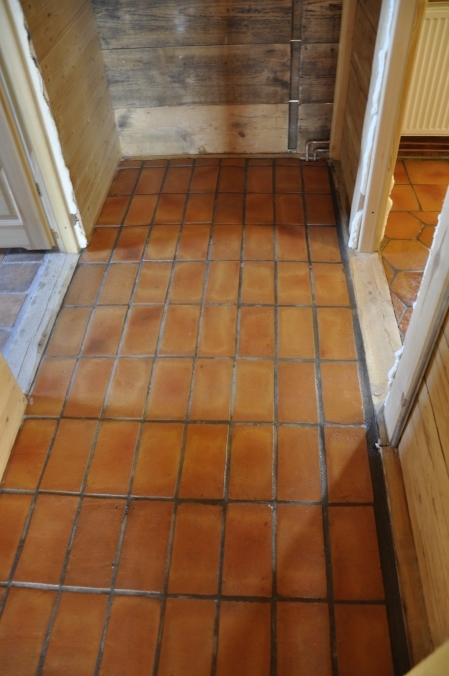 The hand-moulded terracotta should not be compared with the tiles produced of the demolition bricks. 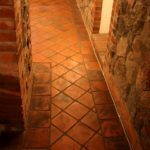 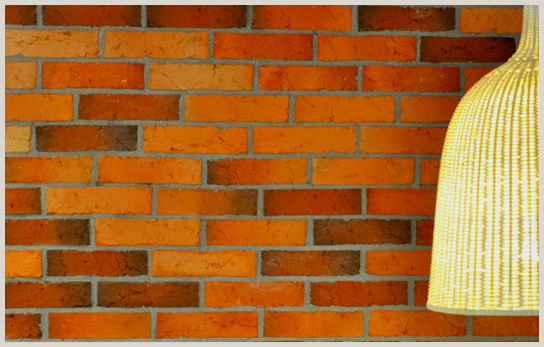 Compared with the tiles cut from brick, our tiles are of much better quality, which is expressed in parameters such as full frost resistance, hardness, low water absorption and lack of pollution that may occur in old bricks (i.e. 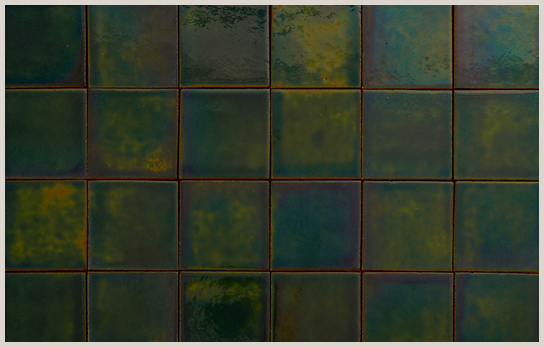 mould or algae). 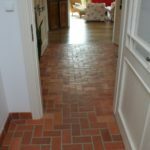 Aufgrund der Handanfertigung können die genaue Masse von der u. 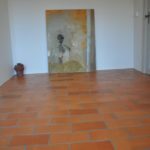 A. abweichen. 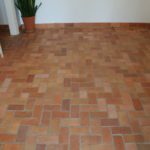 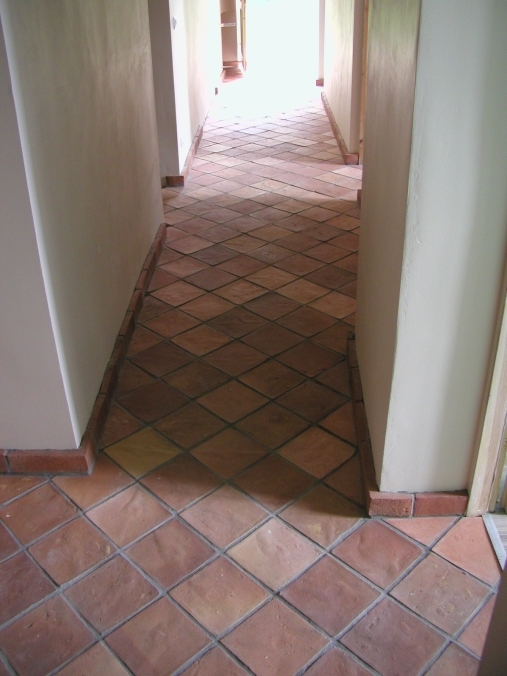 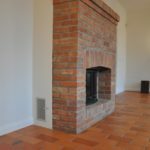 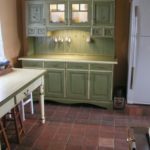 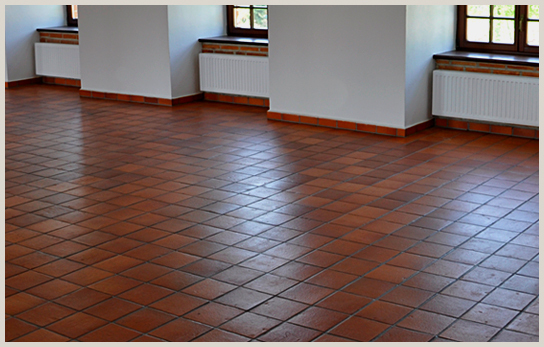 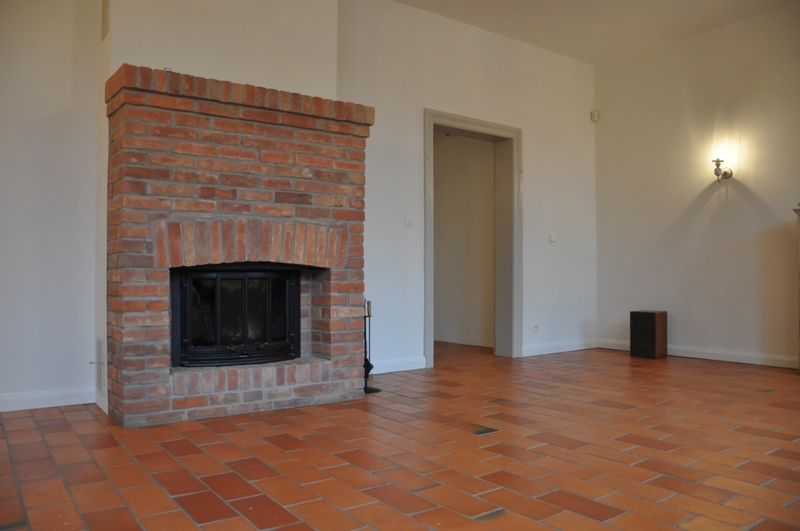 We have a wide knowledge of the materials needed for the proper assembly and subsequent maintenance of the terracotta, brick floors etc. 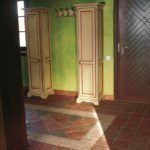 We have been cooperating with the Italian company FILA(www.filasolutions.com) for years, and we have been officially trained in the use of the above mentioned products. 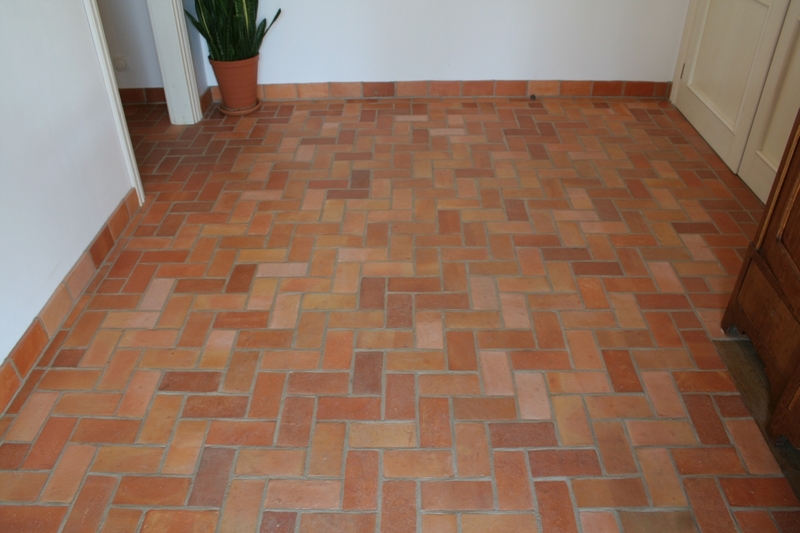 After reviewing the details of the contract, such as the number of m2 and the place of application, we will send You the offer with additional funds for the assembly and maintenance of floors and walls made of terracotta and bricks. 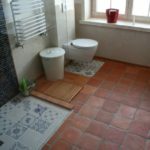 You can make use of it in whole or in part. 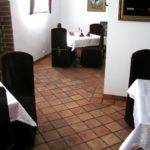 The offer is made in each case individually. 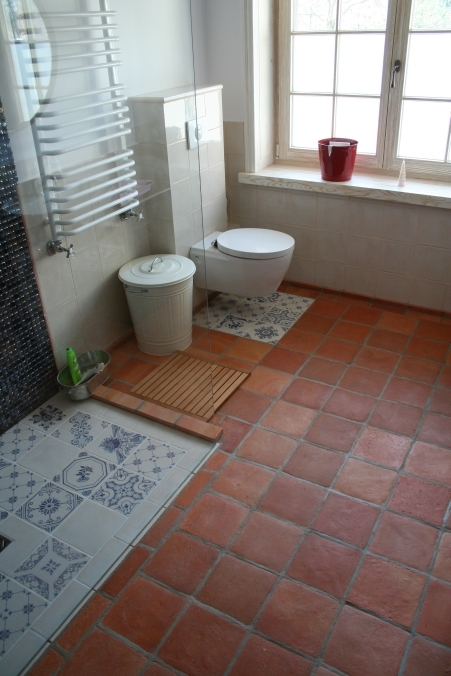 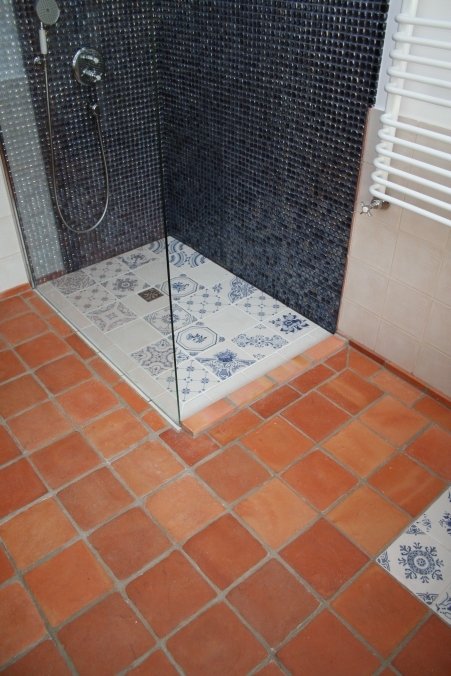 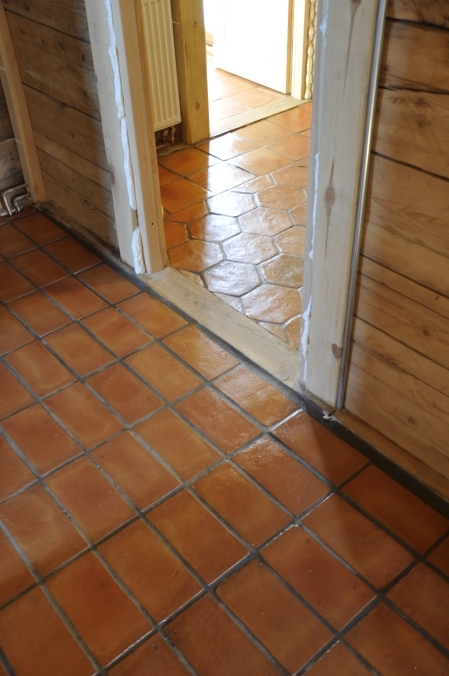 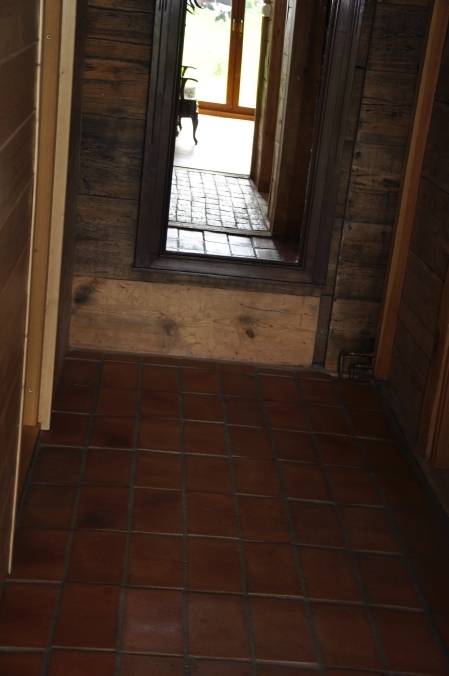 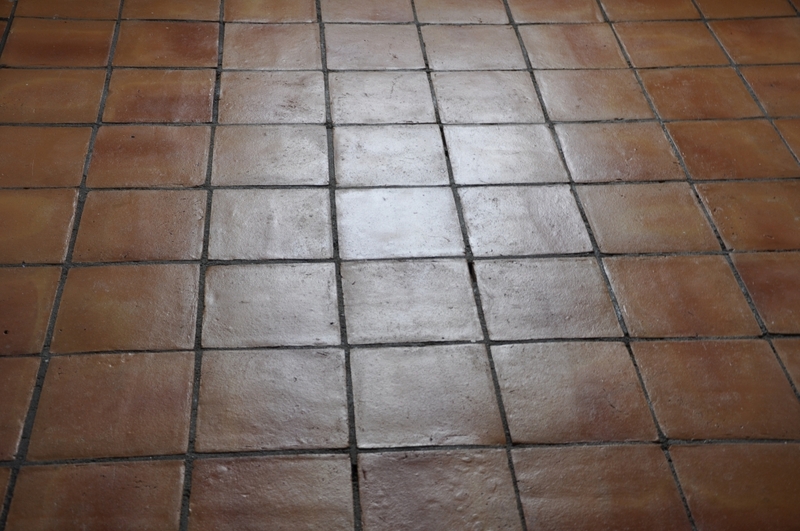 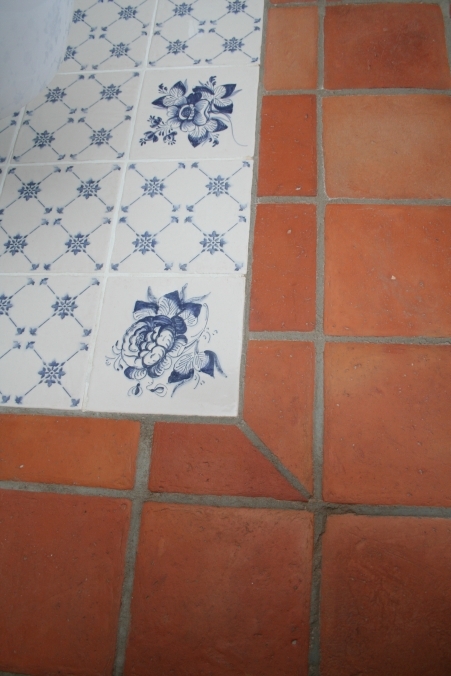 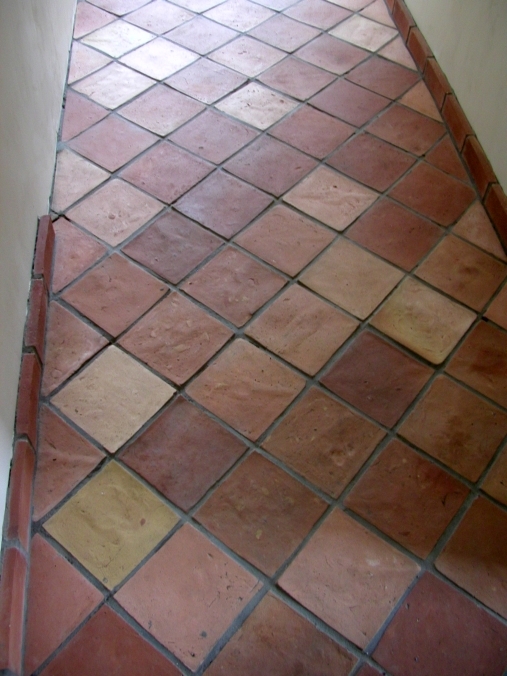 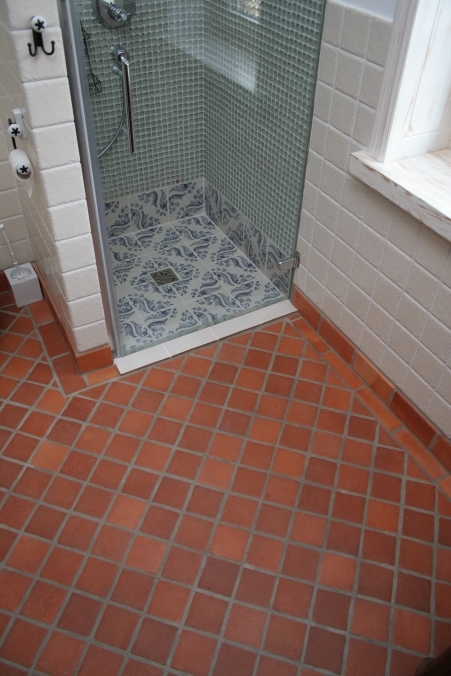 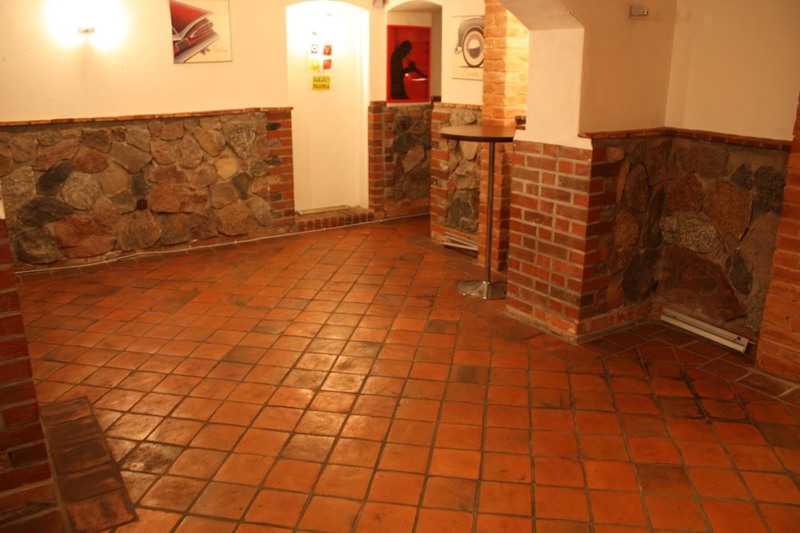 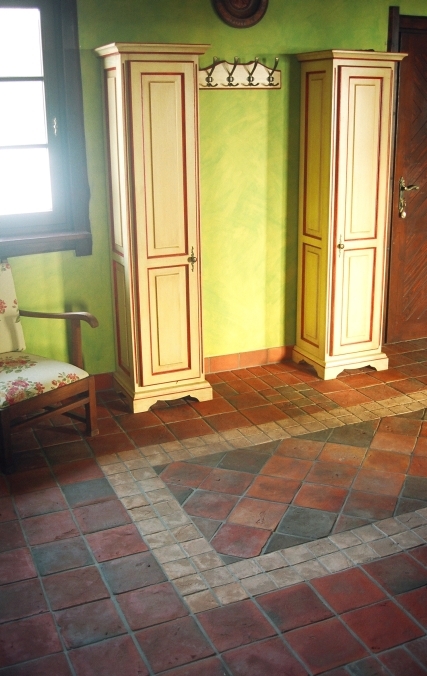 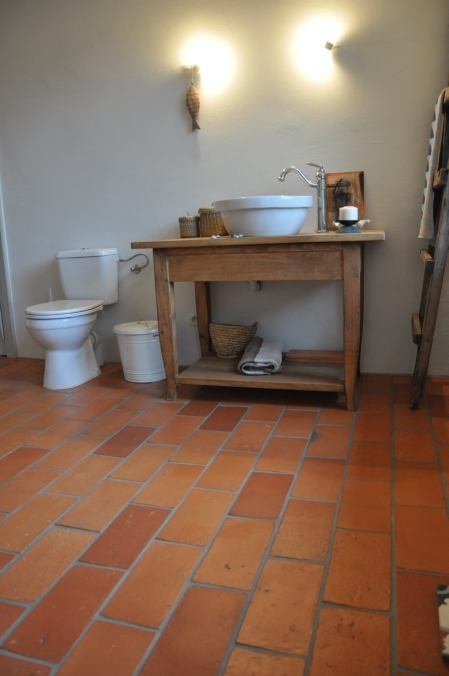 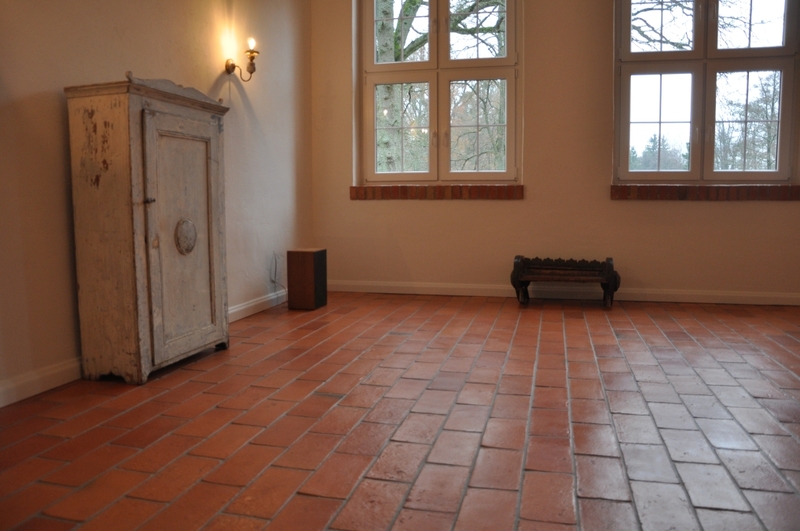 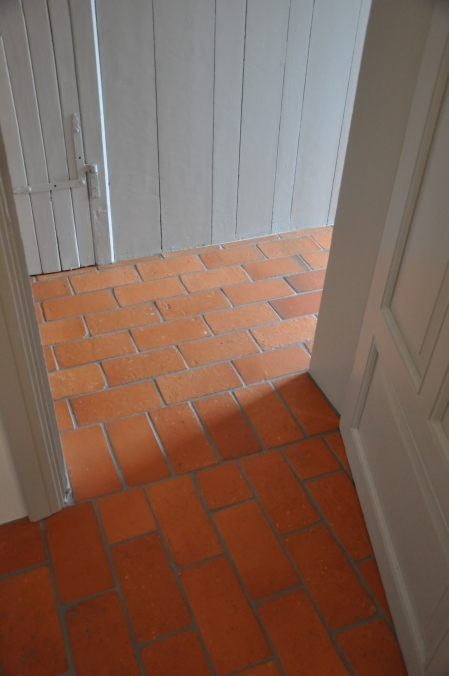 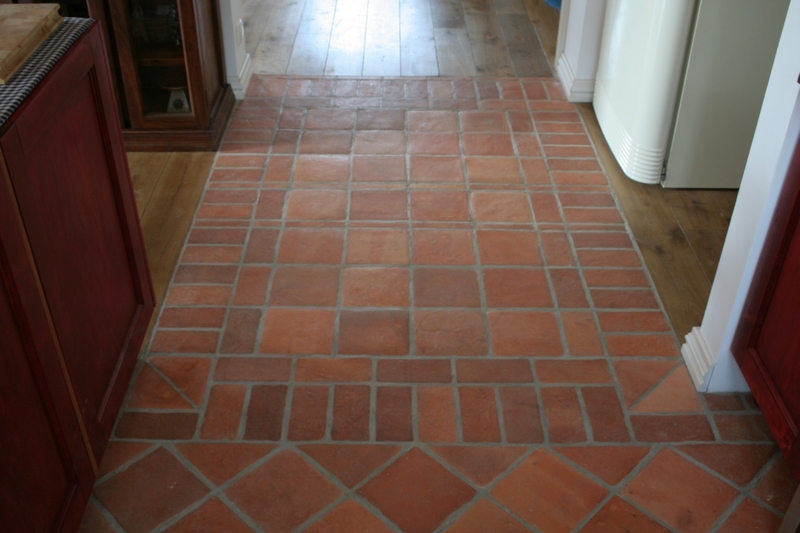 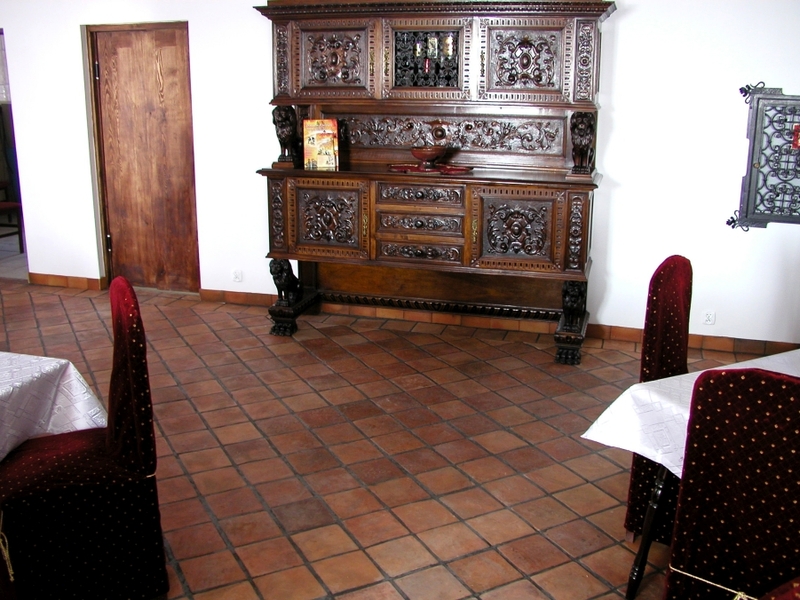 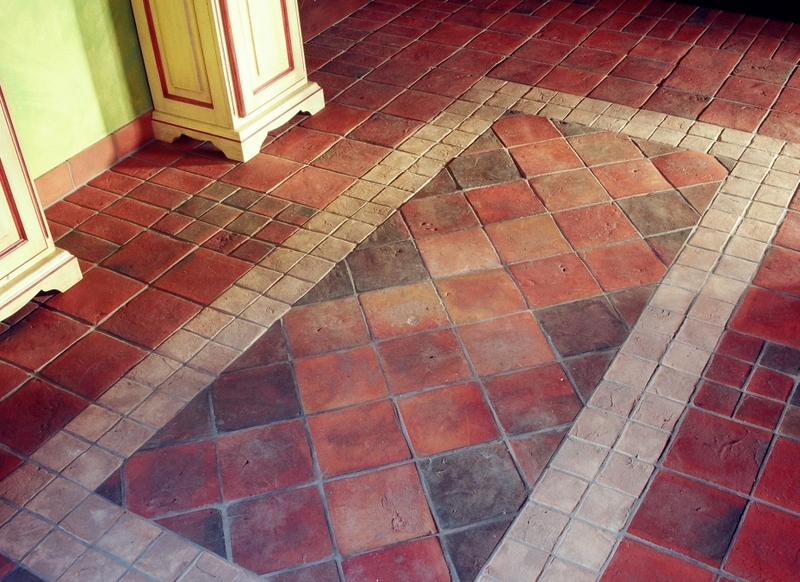 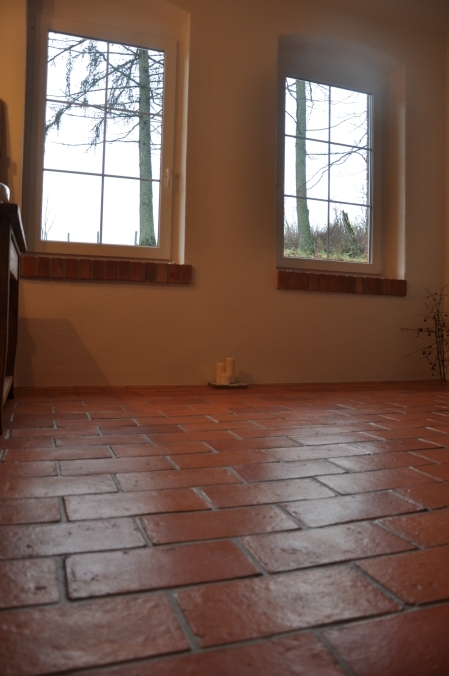 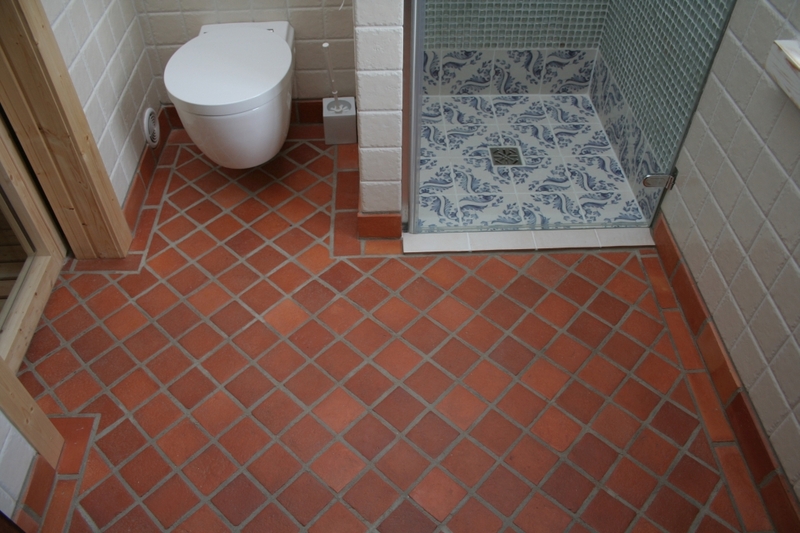 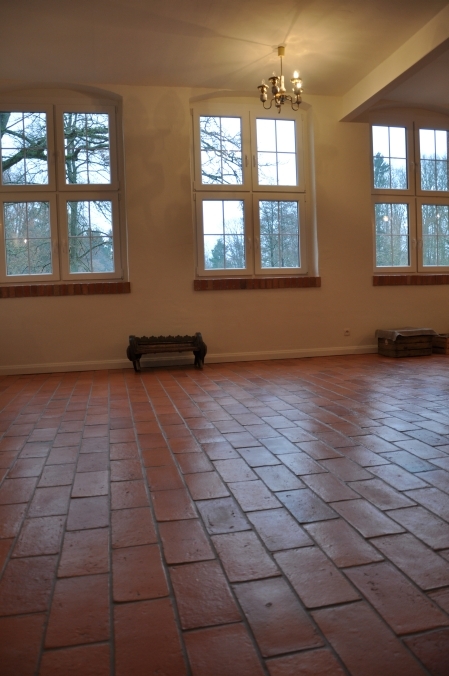 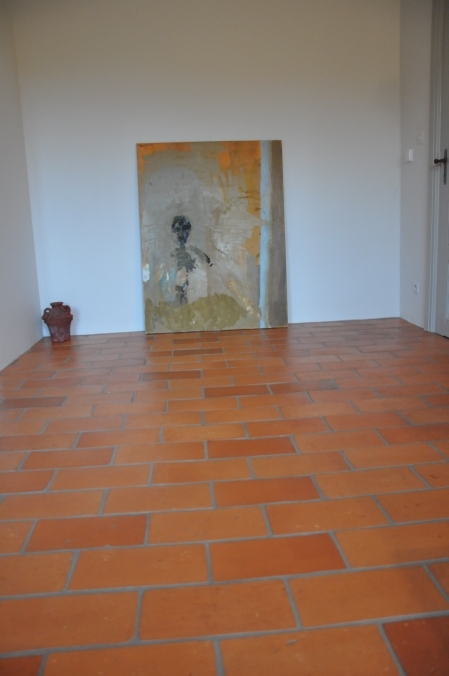 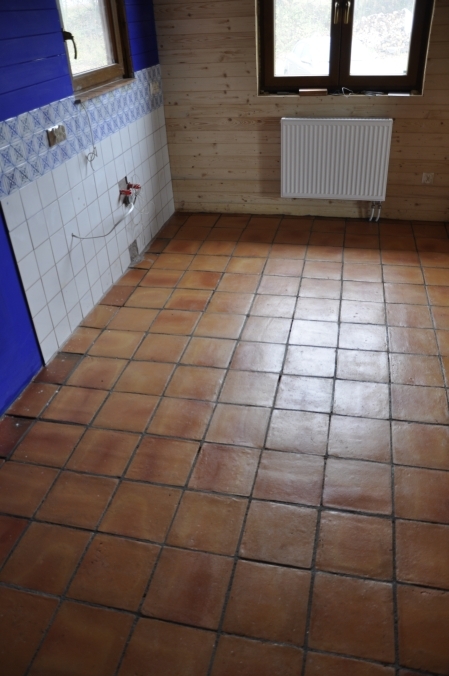 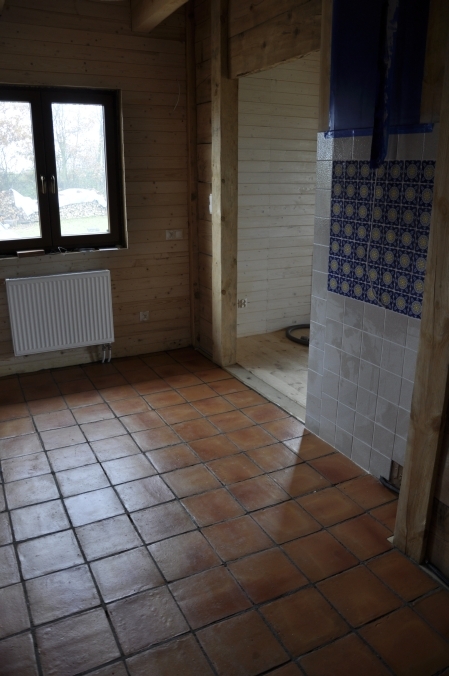 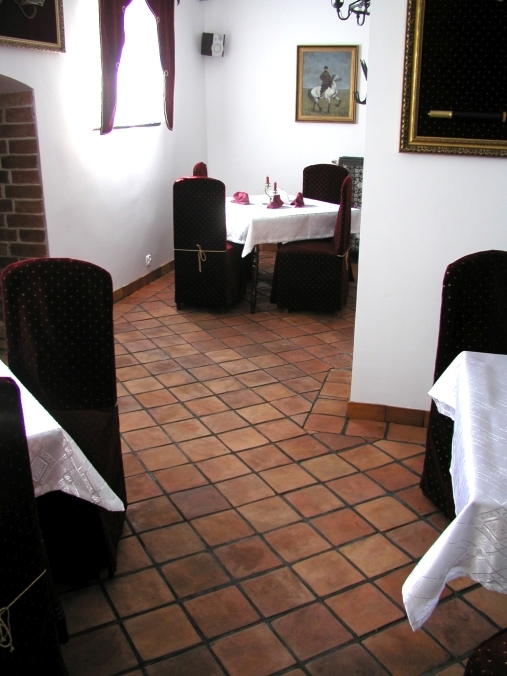 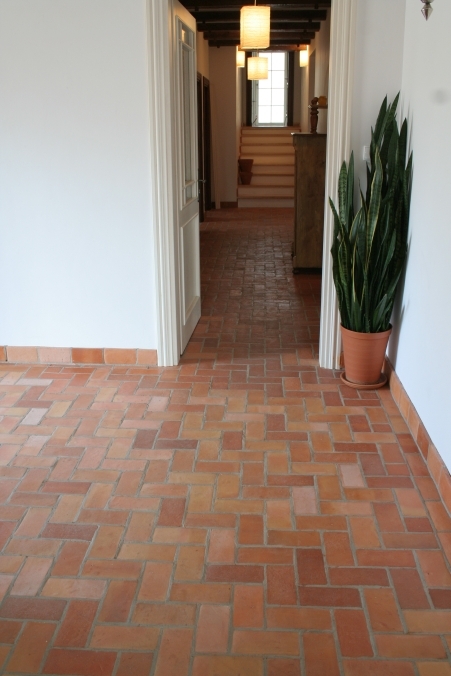 Floor and wall tiles made of terracotta.